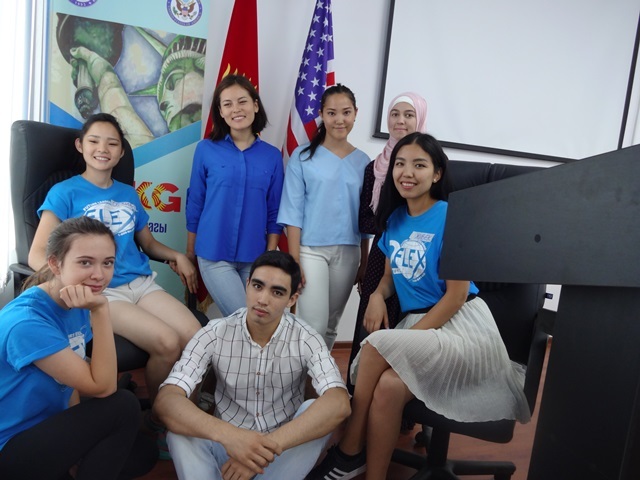 During the summer of 2017, FLEX alumni Zhibek Kamalbek kyzy ‘14 (Jalal-Abad Kyrgyzstan/Saint Olaf, IA), Sezim Zhenishbekova ‘15 (Naryn, Kyrgyzstan/Saranac, MI) and Atai Amanatov ‘15 (Naryn, Kyrgyzstan/Buena Vista, VA) organized and implemented a project called TechMothers. The goal of the project was to teach computer skills to 35 women in the rural areas of Naryn and Jalal-Abad in order to make them more competitive job applicants. 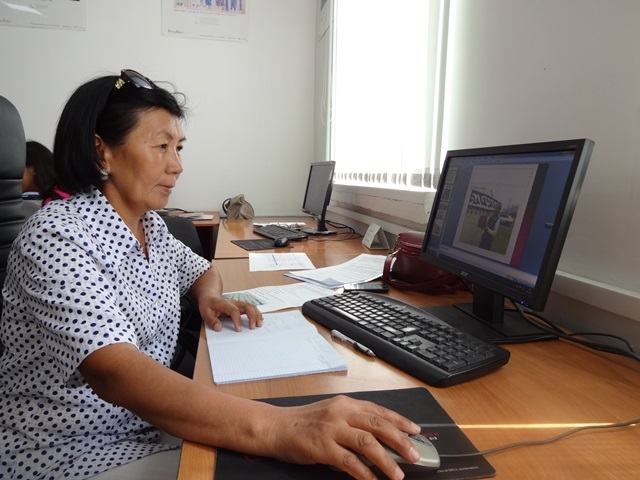 Though most hiring organizations require computer literacy from employees, many women in rural areas of Kyrgyzstan do not possess this skill due to lack of educational opportunities and access to computers. TechMothers aims to empower mothers by changing this reality by providing computer literacy courses to women aged 25 to 55 years old. 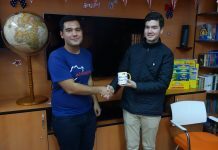 The volunteer trainers held classes in Naryn and Jalal-Abad from July 24 until August 11, 2017. 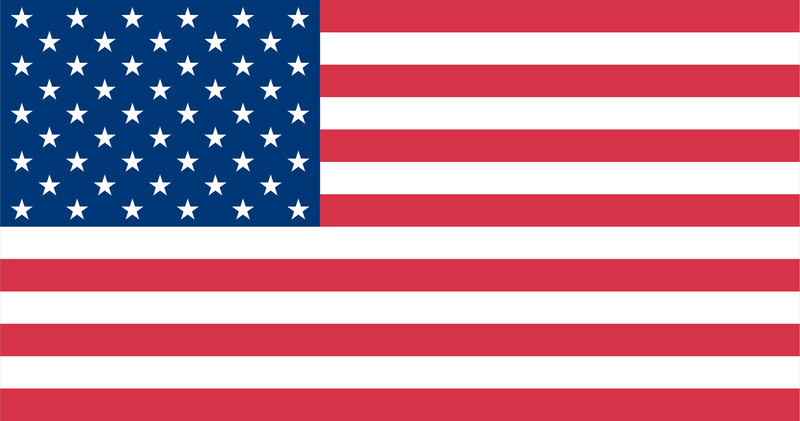 Participants learned basic computer skills, such as: how to turn on and off the computer; open applications; use Microsoft Word, Excel, and PowerPoint; and use Internet searching tools and Social Media websites. 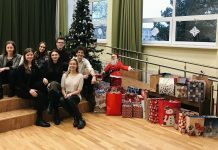 Participants also created Gmail and Facebook accounts. Upon completing the course, participants received certificates of completion. 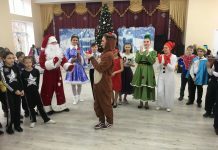 Now there are 35 female alumni of the program from various professional backgrounds, including: teachers, doctors, government employees, and housewives. 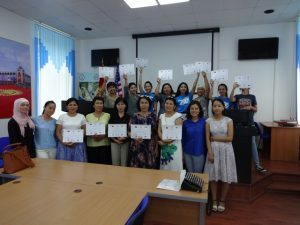 In Naryn, the alumni organized a women’s association for the participants of the program, where they meet every month and share their thoughts, knowledge, and experiences; plus they invite inspirational female speakers to present to the group. 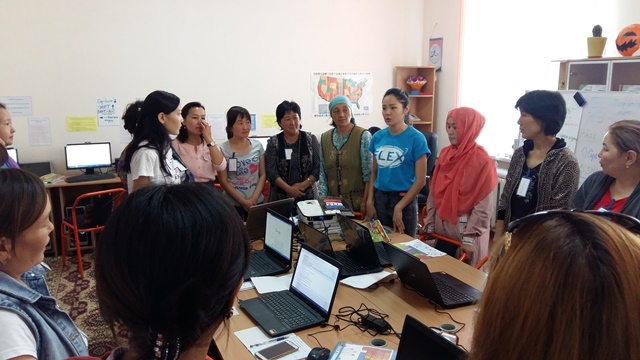 Project contributors Mariam Sulaimanova ‘17 (Jalal-Abad, Kyrgyzstan/Vernal, UT) and Aibika Azhymudunova ‘17 (Naryn, Kyrgyzstan/Twin Falls, ID) hold meetings in their towns and are on call to answer computer-related questions for TechMothers alumnae and provide them with classes so that they continue to practice and develop their skills.